The original Westlawn neighborhood in Milwaukee, Wisconsin, was formed more than 50 years ago with 726 barrack-style housing units for 1,800 residents, many of whom were minority and very-low-income wage earners. 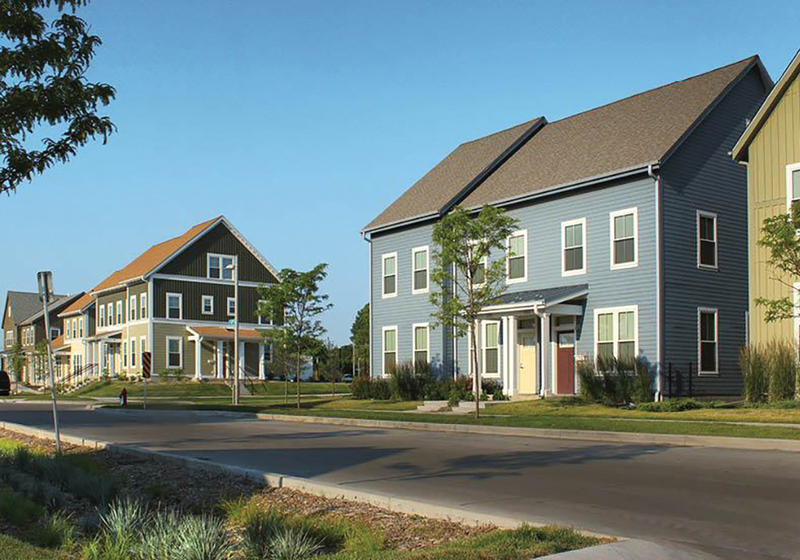 Wisconsin's largest public housing neighborhood has transformed from an aged and stressed community into a vibrant, mixed-use and mixed-income neighborhood after an inclusive and participatory planning process. The project's innovation lies in its approach to financial, environmental, and social sustainability. Westlawn Gardens shows that public housing can be attractive, sustainable, and healthy, and it has changed the perception of public housing. Westlawn's original superblocks were isolated from their surroundings, both physically and socially. Housing units were unable to accommodate growing families. The new housing includes a mix of apartments, townhomes, and duplexes to meet the varying needs of underserved populations, including veterans, seniors, families with small children, and the high percentage of single, female heads of households. Uniquely, the housing authority acted as its own developer during the first phase and will continue to do so in future phases. Furthermore, the authority contributed more than $19.5 million of deferred development fees to the costs of developing the project, putting the money back into the community instead of paying for a private developer partner. Energy efficiency and sustainability were high priorities given long Wisconsin winters. 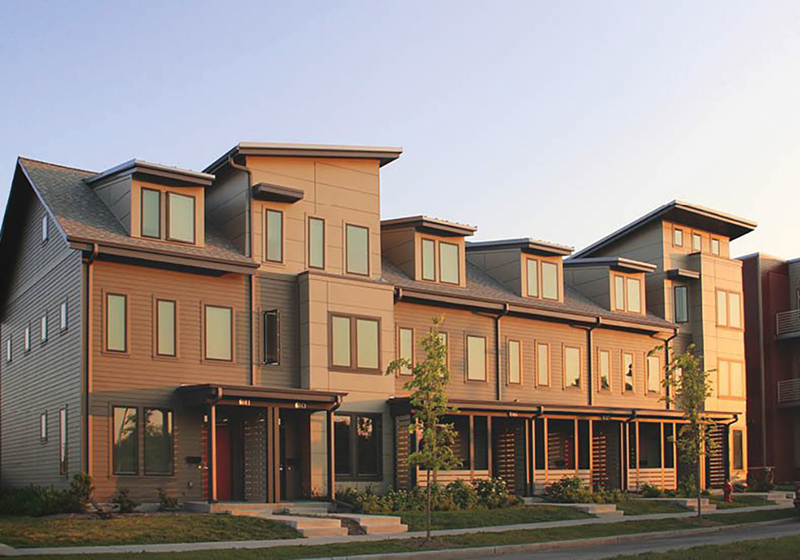 Every new home was designed to LEED standards, with one home serving as a LEED Platinum case study. Housing units were built with durable, weather-resistant materials and insulation to prolong their lifespan and minimize maintenance and heating costs. Improving indoor and outdoor air quality was vital to help reduce incidents of childhood and elderly asthma, which is endemic in very low-income populations. Rain gardens and bioswales provide on-site stormwater management strategies. Improving the social connection to the surrounding neighborhood was achieved through pedestrian oriented, health-focused neighborhood design. First floors of the apartment buildings accommodate neighborhood retail and community services. A renovated elementary school, playground, and community center are centrally located for easy access for all Westlawn Gardens residents. Pedestrian-scaled blocks reconnect the neighborhood to its surroundings and host mixed -use, mixed-type, and mixed-income housing. For the project to succeed, planners knew that the trust of current Westlawn residents was vital. Through frequent and open conversations, workshops, and public meetings, the team encouraged input from neighborhood residents. Through those conversations, residents shared their desires for a healthy, empowering place to live with safe streets, homes, and parks, and opportunities for growth through homeownership and economic development. The collaboration between public and private partners was also critical to the project's success. Local health organizations assisted in helping to improve air quality. An accessibility group advised on universal and accessible design beyond code minimums, and multiple government and community organizations worked together throughout the project. 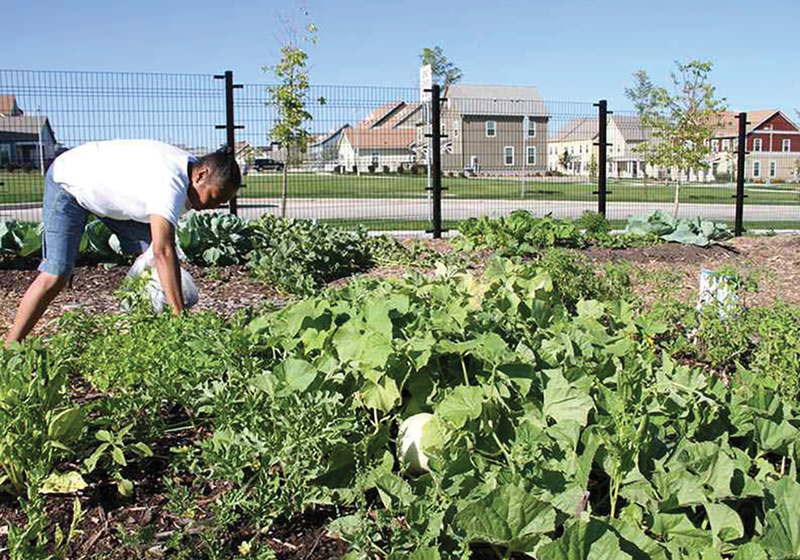 A partnership was developed with Growing Power, an urban farming organization, to create a 30,000-square-foot community garden to educate residents about onsite local food production. Bioswales and rain gardens line the low side of each street to collect stormwater runoff in an area formerly plagued by stormwater damage and wet basements. The Westlawn Gardens project has changed the way most people perceive public housing. It has provided critical affordable housing units in an area where it was most needed for low- and very low-income residents. The $82 million first phase created 250 new affordable housing units and was funded through the largest Low-Income Housing Tax Credit award in the state's history. Future phases will more than double current available housing and add additional market rate homes and rental units intermixed with public and affordable housing. The master plan provides prescriptive measures to intermix public and affordable housing alongside market rate housing. It strives to continue to create a thriving mixed-income community that can provide the framework for mobility, growth, health, and happiness. In the community garden, a local food organization provides education and support to residents about the empowering practice of growing their own food. This program is particularly valuable in an area of Milwaukee that was considered a food desert.